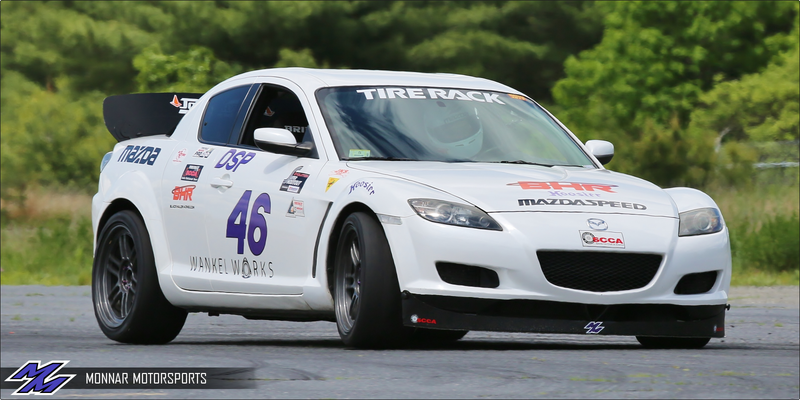 My first race back with SCCA NER for this season, and it's a blast! A great course, paired with most of my problems finally sorted out, I was feeling pretty confident about the car. I left the setup the same way it was back in New Jersey to see how it would handle at Devens, and it was exactly what I needed. Felt great around the low-speed elements, minus the negatives of having such a stiff rear swaybar (such as excessive wheel hop when launching, and others). I've been on the fence about staying in Pro Class this year and think after this event I will stick to just running DSP... We all compete via PAX anyways, regardless of class, so why not? My fastest run was a '49.574 clean, aiming to try and get into the '48's at least but with no dice. That still landed me 2nd in PAX and 2nd in Pro Class. The rest of the results are located here on NER's website. Below is a video of my fastest run.